I have decided I have far too many blogs and its getting really time consuming trying to keep up with them all. So I have decided to consolidate some of them. Make it, Bake it is going on the back burner again I think it has real potential I just don't have time to dedicate to it at the moment. I will be recycling some of the posts on New Mummy's Tips. 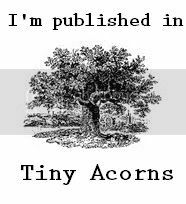 When I was going through my identity crisis with New Mummy I started a blog called A Little Place for Me To Write where I did some creative writing and wrote about my depression. I don't want to have rules on this blog, I want to be free to write and post random things as the mood takes me so that's what I will be doing from now on. I *may* also recycle some of those posts on here. There is a story a started thanks to Josie's writing workshop and I would like to carry it on. Not for one minute I ever think I could be a published author but I really enjoy the challenge of fiction. Though I have been published don't ya know! My next project is to get my blogger job board Find The Right Person back online, I had a soft launch and got some feedback on it (some not to me directly) so I have a lovely lady building a little site for me and it should be ready to go middle of next month. I also want to write an e book this year on making money from blogging, so very excited about that! So watch this space for random posts and updates on my projects! As you probably know I attended the Cybermummy conference on Saturday, the word of the day was 'overwhelming'. I attended it last year and this year it was definitely bigger though I can't say it was better. Most of the workshops were basic, great if you a new blogger but useless for old timers like me. Speakers not understanding about blogging. Being told after each session and break it had been sponsored by some brand. I left Cybermummy with huge bags of swag feeling very overwhelmed and disappointed. I was hoping to come away inspired with ideas to move my blogs to the next level and they didn't happen. I have no problem with working with brands, the majority of my blogs feature reviews but it was all a bit too in your face for me. I think they did a wonderful job putting it all together but it was a bit style over substance. I have a proper post running through my head about Cybermummy 11, actually there are a few but I am far to tired to write them tonight. I thought instead I would share 5 random facts. 5. Mummy bloggers know how to have fun and party! Today 400 women are heading to London for the Cybermummy conference. Friday Song is all the past week, its a song that sums up your week. This week has been a bit hectic already. BG had her first ever dance show on Saturday which she rocked, she actually stole the show and decided to do her own thing. The more the crowd cheered her the more see danced! Wednesday and Thursday I was in Scotland for Bon Jovi. Later today I am travelling to London ready for Cybermummy tomorrow. A lot of us have had the same idea about coming the night before. Parties and nights out have been planned, I dread to think what state we will be in for the conference. I am currently on a train to Edinburgh to see Bon Jovi in concert at Murrey Field and I just thought I would say have a nice day! Eddie Vedder is one of my music hero's. Pearl Jam is one of my favourite bands, who I have seen live on many occasions. How can you not love a band that makes music like this.. 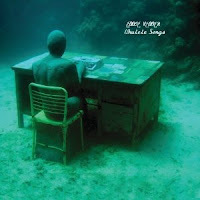 When I heard Eddie Vedder had a new album out called Ukulele Songs I didn't actually think all the songs were played on the Ukulele. I was wrong. Then I thought to myself, I bet he's made them sound really cool on the Ukulele. I love when tracks are given a twist and played differently. I was wrong. I downloaded it off spotify and managed to listen to half of the album when I had to give up. Its self indulgent trite! I'm sorry Eddie I love you, I really do but this is not good. Lets chalk this up as an experiment, Eddie put the Ukulele down and step away. Don't take my word for it, have a listen yourself. I've spent so much time writing about how crap my mother is that I forget to tell people how amazing my dad is. He's not amazing just because he takes me to gigs, the theatre or taken me on great holidays in the past but because he has always been there for me and my sister. He is supportive and non judgemental, letting us find our own way but always there to support and guide us when we needed it. He is always a phone call away, no matter what time zone he has been in. He's the kind of dad that when you say in passing you are thinking about a day trip somewhere will call you back 3o mins later with train times and a list of things you could do. He is thoughtful and has an amazing knack for getting the perfect gift. He knows absolutely everything, he really does you want him on your quiz team. Even though me youngest brother and sister have a different dad he has never forgotten them on their birthdays or Christmas and when they were younger he would buy them gifts on his trips so they wasn't left out. He is a fantastic Granddad and even though he is now living in Scotland most of the time he makes sure he visits at least once a month to see his grandchildren. It was hard choosing a song for my dad, I could have gone soppy but that's not really his thing. I get my musical taste from him and have been fortunate to have been taken to many concert with him, actually I am off to see Bon Jovi with him next week. I haven't done Karaoke in years and I only ever do it when I have had a few drinks inside me. One of my best friends K insist I can sing and make me go up, well at least I think she is my friends. So I bet you are all expecting a Bon Jovi track, Liz thought it might me a Journey song well you are wrong!! Have I ever mentioned my love of Cher? No? Well I do own many a Cher album and love to belt them out(of tune). That is how much I weigh!! For someone who is only 5ft 3in that isn't good at all. I only know I weigh that much because thankfully I started Slimming World on Monday. I have a lot to loose but I am up for the challenge! My problem is that in my mind I look like this.. So I am on a mission to get fit and healthy! I had my first Zumba lesson on Monday and now have the wii game and the DVD's coming for me to do at home. Are You a 'Mummy Blogger'? Are you worried you are a 'Mummy Blogger'? Do you secretly wish you were one? Take the Dance Without Sleeping 'Mummy Blogger' test to see if you are. Which statements that best describe you? Have you got Mum, Mummy, Mother, Mama, Mom in your blog name? Is 75% or more of you content about being a Mum, your child/children or you family? *Give your self an extra yes if you have ever written about weaning, teething, nappies, potty training or your child's routine. Do you attend 'Mummy Blogger' events? Do you write reviews on toys, baby/child products or cleaning equipment? 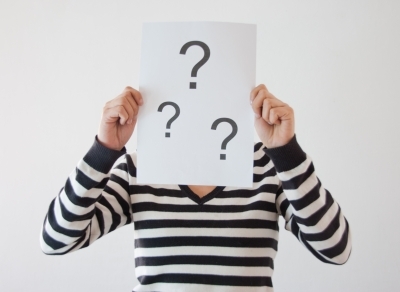 When a Brand/PR asks for 'Mummy Bloggers' to take part in a campaign or attend an event do you put yourself forward? Do you publicly denounce league tables but secretly add your blog and get really excited when your blog moves up the chart? Are you a member of a 'Mummy Blogger' forum, group or blog hop? Putting your family's healthcare first at our private hospitals. Last week I heard the best news Blondie was touring again and has released a new album called Panic of Girls. I was bought up listening to Blondie and have been really fortunate to have seen them perform on several occasions and I must say they are amazing live. Debbie Harry is one of my music hero's and I love her voice and energy on stage. Who Say's You Can't Make a Living from Blogging? In February of last year after being on job seekers allowance for 6 months I decided that I was going to see if I could make a living from blogging. By that time I already had two blogs New Mummy and New Mummy’s Tips which where my personal and review/tips blogs. I had been really fortunate to been involved with some great brands and campaigns already. I was offered adverting and a small writing position on an American blog. I was also writing reviews for other sites, so I was building a reputation all the time. My first goal was to increase my traffic and SEO on New Mummy’s Tips. This meant creating a lot of content, which I did with some help of guest posts but most of it was me. Slowly my traffic increased and so did my Google rankings and online profile. I found myself being offered advertising, sponsored posts and great products to review. By September I had tripled my traffic and was bringing in a reasonable income from New Mummy’s Tips. I knew that my next step was to add another income stream but wasn’t quite sure how I was going to do this. I saw a tweet from Ace Inspire with a link to video on becoming a professional blogger and after watching it thought I could do that!!! I set up a page on my blog and started tweeting and got work straight away writing blog posts for other people’s blogs. I was on my way! 9 months I now make an income from my blogs through advertising and sponsored posts, from freelancing as a blogger and social media consultant and I am the Community Manager for BaM! and Ace Inspire. I make a good income from my blogs and freelancing, it’s not been an easy journey and has involved at lot of hard work but now I only work part time hours and get to spend the rest of the time with BG. I have started blogs that didn’t work and some that have. Today I have launched a new blog called Parent Panel. 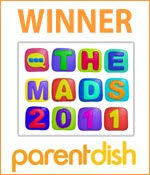 It’s a review blog (shock) written mainly by amazing team of parents. I realised on the run up to Christmas I couldn't do all the reviews myself plus I was restricted in what I could take on due to BG’s age. So I put a requested out on twitter and the Parent Panel was born. Originally part of New Mummy’s Tips the reviews slowly took over and the essence of NMT’s got a bit lost. I started the blog to share money saving tips, sales, offers and other family advice, plus the odd review. I decided the best thing to do was to move the majority of the reviews over to a sparkly new blog and then give NMT a revamp and that’s what I have done! Parent Panel is now live and New Mummy’s Tips will be back next week with a great team of writers! It’s an exciting time!! Now I am off to take BG out for the day!